In Sydney's revolving door food culture we are more interested in the places that have managed to survive a few years, rather than what's flashy and new. The stayers not the players. Such as BBQ Prince in Marrickville. Everyone needs a BBQ place nearby for when the 'protein and rice' urge hits. 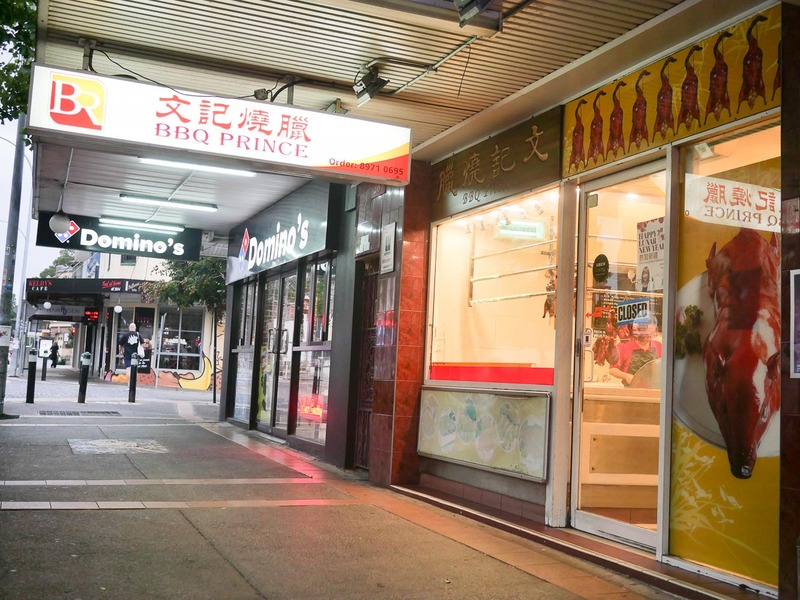 A waddle over to Marrickville on a steamy night leads us to BBQ Prince. We are craving some slices of pork, but tonight they are all out of roast so we settle for char siu. 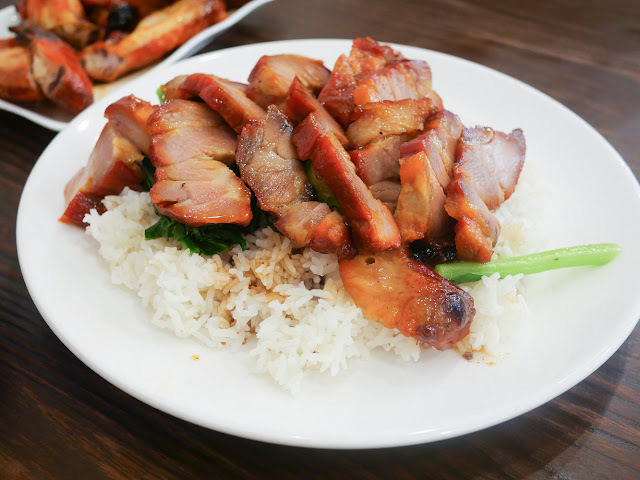 The BBQ pork slices are lovely and thick and chumpy - $11.50 on rice on a next of blanched greens. 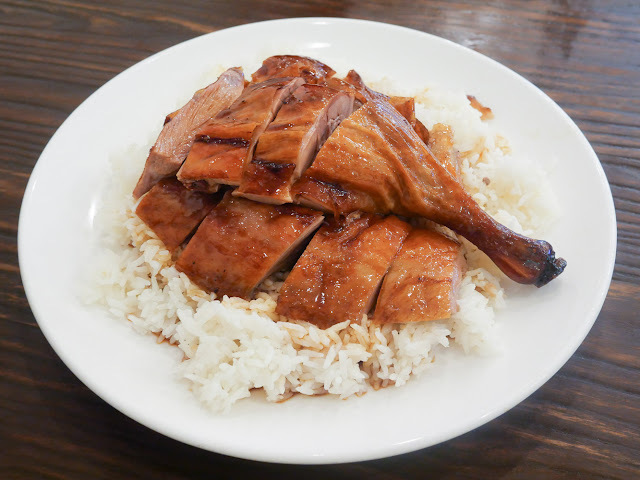 The BBQ duck is good, a deal at $11.50 on rice, though we can't help but miss the previous tenant Mr Chao BBQ. Still, it's a good duck, raised up a notch or two when you get some chili paste from the counter. We got a half duck to go for tomorrow nights dinner at $16 for takeaway. 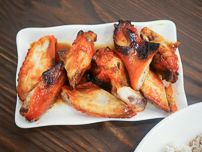 A five buck plate of three BBQ chicken wings is a must-order, nice'n'chumpy. It has a similar flavour to the char siu pork, a slight bit sweet and a little red. The edges of the wings are cooked crisp so that you can bit off the whole ends, mini bones and all. There's a small range of BBQ here compared to other places around, mostly because of lack of demand. We enquire about other pig bits but they're not done anymore, not sold and just thrown away unwanted. This makes us sad, we guess that local tastes are changing and you just need to sell what's wanted. Love your guts, peoples! BBQ Prince is at 289 Marrickville Rd, Marrickville. Open 9.30-7.00 everyday. Troopers.